Castaways Repertory Theatre has been bringing stage classics like “Cat on a Hot Tin Roof” and modern hits like “August: Osage County” to Prince William County audiences for nearly 40 years. Castaways has been honored multiple times for its productions and won the Kathleen Seefeldt Award for Outstanding Arts Organization in 2008. Castaways is a longtime member of the Prince William Arts Council, according to CRT Steering Committee member Kathy Gurchiek, who represents the group at monthly PWAC meetings. 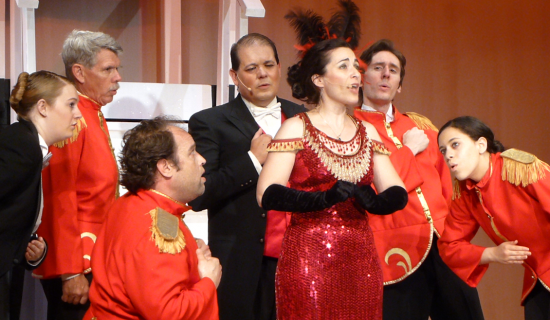 As a dues-paying member of the Arts Council, CRT applies for, and receives, annual funding through a PWAC grant, as well as a smaller technical grant that reimburses CRT for equipment expenses such as microphones used by its actors in musicals. Sahlberg, who has been involved with Castaways almost since its inception, received the Seefeldt Award winner for Volunteer of the Year three years ago. If someone calls up the theatre, the phone rings in her house, whether it’s an aspiring actor, a nervous or doting stage parent, or someone seeking last-minute tickets. Another Seefeldt Award honoree is Julie Little, named Arts Educator of the Year in 2017. Little founded Homeschool Theatre Troupe in Woodbridge 15 years ago with a production of “Charlotte’s Web.” The troupe, which is made up of more than 40 young actors ages 10-19, is now officially affiliated with Castaways. The Homeschool Theatre Troupe trains members in all aspects of theatrical production, including acting, directing, and technical design. In addition to heading both the artistic and business aspects of the troupe, Little is also the chief playwright, adapting classics like “Robin Hood” for her performers. Castaways Repertory Theatre’s current season will conclude with the May production of “Seussical the Musical,” directed by Zina Bleck and featuring a 45-member cast. The new season will kick off in the fall with “Murder on the Nile,” directed by Jill Jago, followed by “I Hate Hamlet,” directed by Sallie Willows. The Spring 2020 musical is to be determined. For more information on Castaways Repertory Theatre, visit CastawaysTheatre.org.